Glitters - "Fire and Ice"
Viking is a leading supplier of QCM inks. The “greenest” environmentally friendly inks on the market today. While other manufacturers struggle to become “green”, QCM is already there! All QCM inks are lead free and phthalate free. 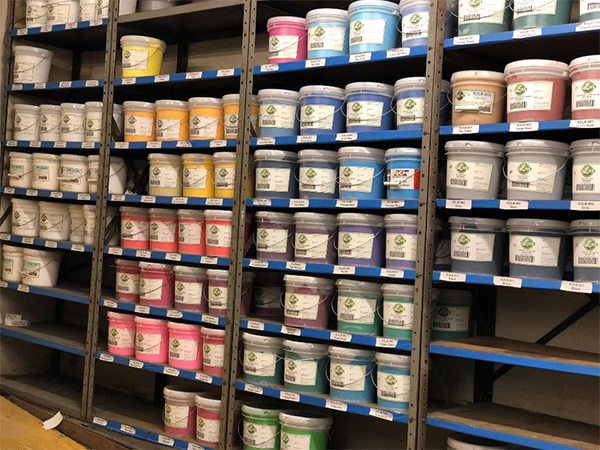 Check out our FAQ Section for more information on how environmentally friendly QCM inks are. For more information, please contact us or call us at (800) 269-7232 to request a catalog. Below are some of our best selling inks. For a complete listing, click on of the category listings above. XOLB-158 Creamy Glacier White is one of QCM’s latest, most dramatic white inks. Glacier White exhibits a brilliant whiteness, so white they almost glow. It is Viking’s best-selling ink!! XOLB-165 Polar White is the world’s best bleed-resistant white for 50/50 poly/cotton garments. Call for a free sample. Contact us to place an order or request a catalog.